Vaspov Kufta is a traditional Armenian dish. The word Vospov means Lentils, and Kufta (or Keufta) means Patties. So in English this dish is called “Red Lentil Patty” and in Arabic “Kebbet 3adas” whereby “3” stands for an Arabic letter similar to “A” but deeper. Vospov Kufta is a mouth watering, refreshing yet filling meal, that is served cold with pita bread. 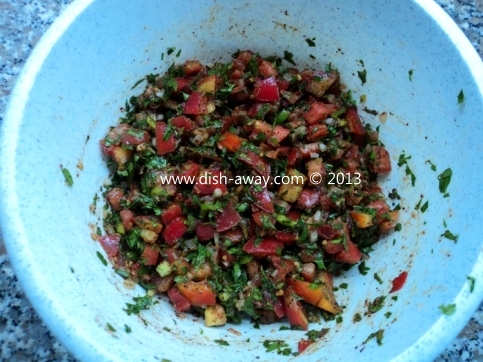 Generally Vispov Kufta is a summer time dish. I learned this traditional recipe for Vospov Kufta from my Great Grandma. Vospove Kufta is not only a vegetarian dish, but a vegan one as well. In our Armenian culture we are bred to eat vegetarian and vegan dishes every Monday, Wednesday and Friday. This culture came from Churches, whereby for centuries it was required that people fast during these three days. Fasting not only nourishes the soul, but also allows the body to rest. These days, many people still adhere to this schedule by eating only vegetarian dishes although many may not know why. Due to this practice, the Armenia cuisine is full with delicious vegetarian and vegan dishes. This version of Vospov Kufta is served with salad, but there are other recipes of Vospov Kufta that have minced meat stuffing. The portion below serves 4 people. Prepared and submitter by Rosina Jerkezian. 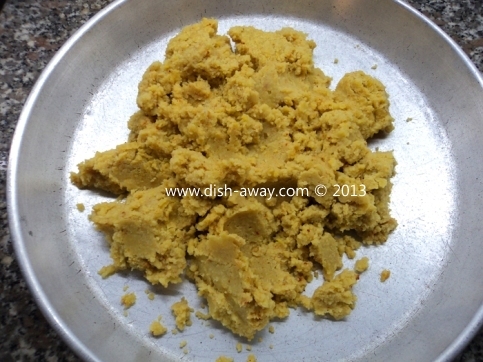 Clean the red lentils by removing any stones or derbies. Measure 1½ cups cleaned split red lentils and rinse with water. Put in sieve to drain. Put the lentils and water in a in pressure cooker. Close cooker and cook for 5 minutes after boiling point. Set aside for 5 minutes allowing all the pressurized steam inside to escape; then open the cover. Note: be careful in ensuring that all the pressured steam escapes before you open the cover as it is very dangerous to open it before then!! 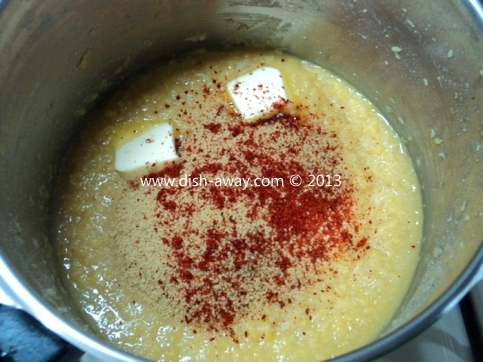 After that carefully open the pressure cooker and add the burgul, red pepper powder, butter and salt. 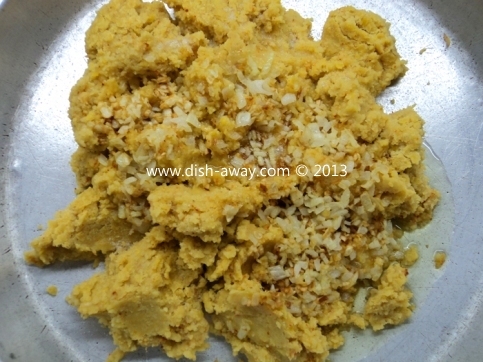 Stir the mixture together and close the cover again and set aside for 30 minutes to 1 hour. Do not heat the mixture, just set it aside. Later, pour into a pan to cool down. 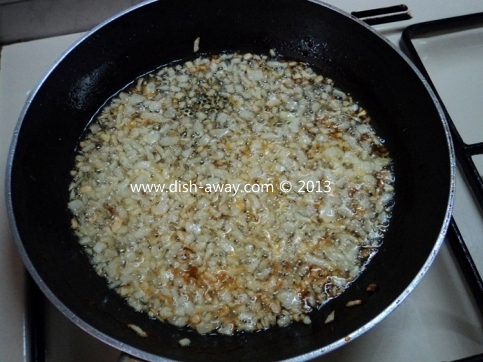 In a sauce pan, heat the oil, and add the onions. Sauté until slightly golden brown. Pour the fried onions on top of the lentils mixture. You will notice that there will not be any liquid as the lentils and burgul will have soaked it up. Wet your hands and knead the lentil mixture until it is well combined. Note: fill a small saucer with water to wet your hands while kneading. 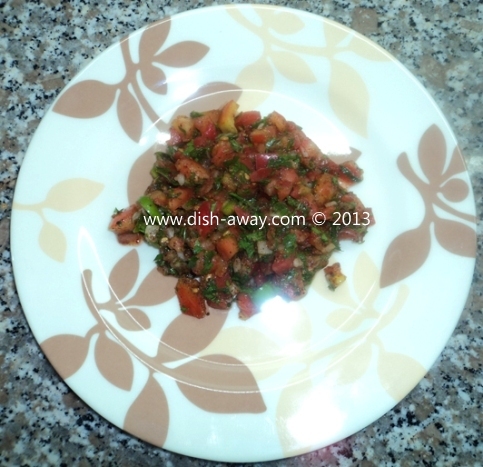 Now prepare the salad by finely chopping the tomatoes, green peppers, onions, mint, and parsley. Add the sumac, cumin and salt. Mix all ingredients. Add salad in the center of the serving dish. Shape the lentil- burgul mixture into small balls or kebab shape, and pat with your hand to flatten to the shape you desire. 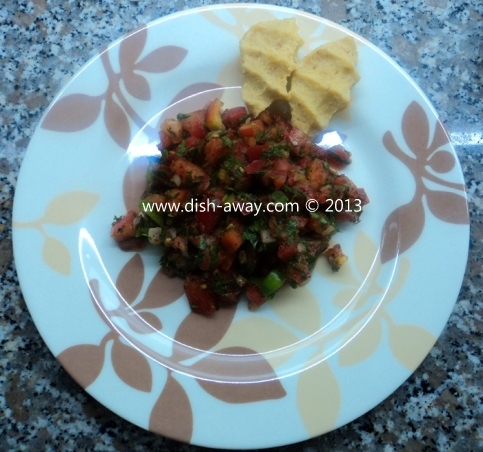 Arrange the lentil patties around the salad in serving dish. Serve Vospov Kufta cold with pita bread. 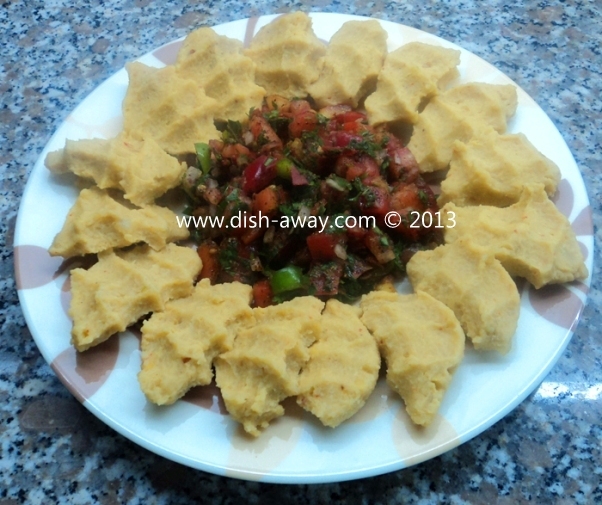 Hope you enjoyed today’s easy recipe: Vospov Keufta (Red Lentil Patty); a traditional Armenian food. Bon appetite. Rosina Jerkezian: Hi, I am a passionate cooker; got my passion from my Mother. For years I have een dreaming of having my own website where I can share my tried and tested recipes with the world! In April 2012, I started Plantcook.com and made my dream a reality! At Plantcook you can find different recipes posted by me and other members, I hope you pay it a visit and enjoy the variety of Armenian and Lebanese dishes. My aim is to revive healthy, slow cooking in every house. Tried the recipe and loved it!!! Hi! What a nice and easy recipe! I will definitely try it as I love Armenian food. But I have a side note here, adding butter is totally un-vegan dear.���� Maybe butter substitute will work better. loved the recipe except i left out the butter to make it vegan. didn't miss it. You can add some olive oil instead of butter.